You are here: Home / blog / December in Ireland – The lead up to Christmas! December in Ireland – The lead up to Christmas! 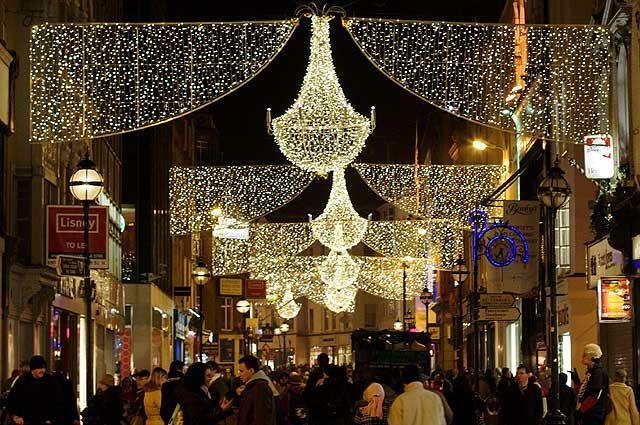 Ever wondered what it’s like to be in Ireland during the lead up to Christmas? It is one of the most celebrated and special times to be in our amazing country. It is a time rich in tradition, culture and craic! Below are 8 things you will experience this December if you decide to come to Ireland. 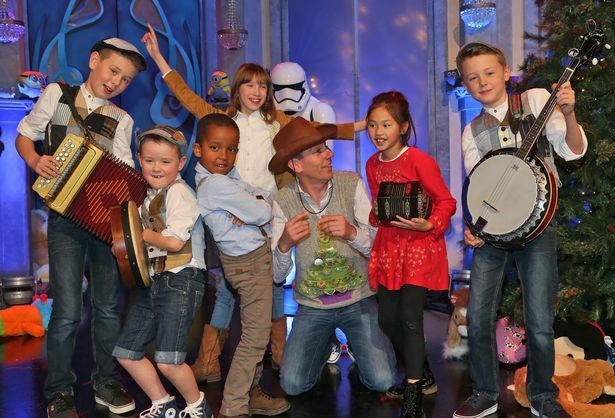 Though traditionally the 8th of December used to signal the beginning of the Christmas season in Ireland, more and more, people begin the festivities on the last Friday in November for the Late Late Toy Show. This show is part of one of the longest running talk shows in the world but this is special edition all about children and the magic of Christmas. We get to see children of all ages review some of the up and coming toys for the Christmas season as well as some wonderfully talented singers and dancers. They review everything from books to bikes and their candid opinions will have everybody laughing. A lot of people like to have their Christmas decorations up at this stage to really feel in the festive spirit. Once the Toy Show is over, it really means the season has begun and for many that means one thing: Shopping! Shops will be busy from then until mid January with people frantically trying to find the perfect gifts for their loved ones (and then enjoying the sales that start from the 26th!). Fairy lights are strung throughout cities and towns with Christmas music blaring from everywhere. If you don’t like crowds, then these few weekends wouldn’t be the best time for you to be near shopping centres. Once the 1st of December arrives, there’s one thing many Irish children (and a lot of adults) can’t do without: An advent calendar. They usually consist of 25 little doors, which you open each day coming up to Christmas. Traditionally, they contained a little festive poem or picture but the majority now have a little piece of chocolate. They vary hugely in theme and can be anything from 25 bottles of beer (not recommended!) to pop culture icons such as One Direction. There is nothing more festive than a tin of biscuits or sweets. In the weeks coming up to Christmas, there isn’t a single Irish mammy who isn’t stocking up on these treats (that usually last well into the New Year). Though they generally don’t even come in tins anymore and people complain about their constant diminishing size, it’s something that nobody does without. 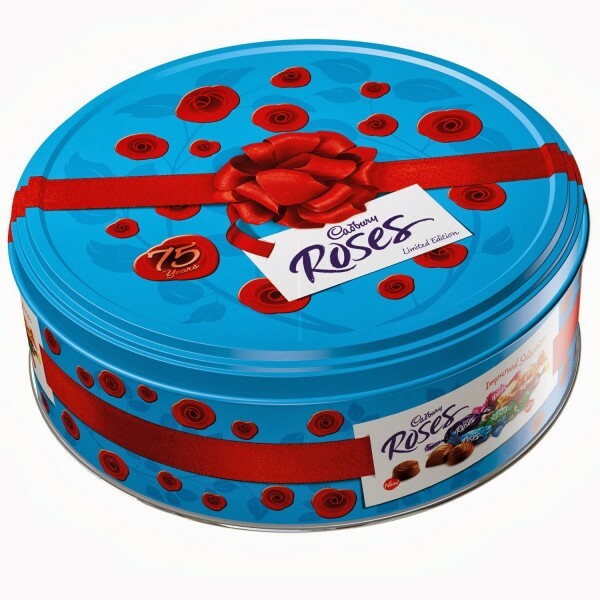 The most popular ones would be Celebrations, Roses and Afternoon Tea! After St. Patrick’s Day, the busiest night of the year in Irish pubs is the 26th of December. Known as St. Stephen’s Day in the Republic and Boxing Day in the North, it’s a night where friends get together and keep the festive cheer going. For many, the night is planned weeks in advance as a way to get to celebrate with friends that have been away or that you haven’t gotten to see in a while. With so many people having emigrated especially in the last 10 years, this night has become even more important. If you want to know the historical meaning behind the day, have a look here! Leading on from that, many of those who have emigrated come home to spend times with their families. Those who are lucky enough to be able to come home bring great excitement to their families and friends. The number of people emigrating for better opportunities fell for the first time in 7 years in 2014. There are not many people in Ireland who haven’t had a loved one move away with many having to leave due a lack of employment during the recession (from 2008). Almost 90,000 people left in 2014 alone. 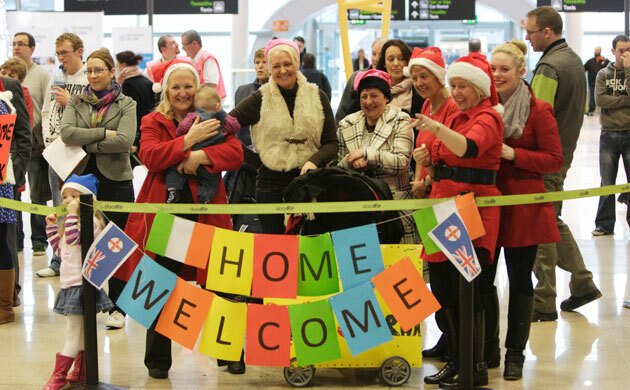 This makes Christmas an even more special time when families and friends are reunited. Though Ireland is known for being a Catholic country, the number of people avidly attending mass on a weekly basis has fallen dramatically in recent years. In the case of these people, Christmas eve/day is the one time a year to attend mass and is more of a social gathering as most will head straight to the pub afterwards. Many Irish churches have early evening masses for children so that they can still be in bed early whereas traditionally, people would have gone at midnight. 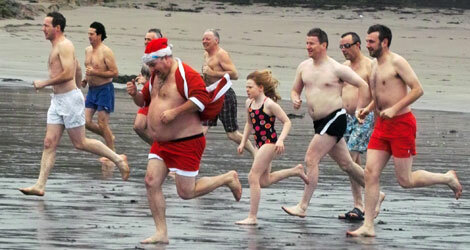 For those brave enough, there is an annual Christmas swim every year. 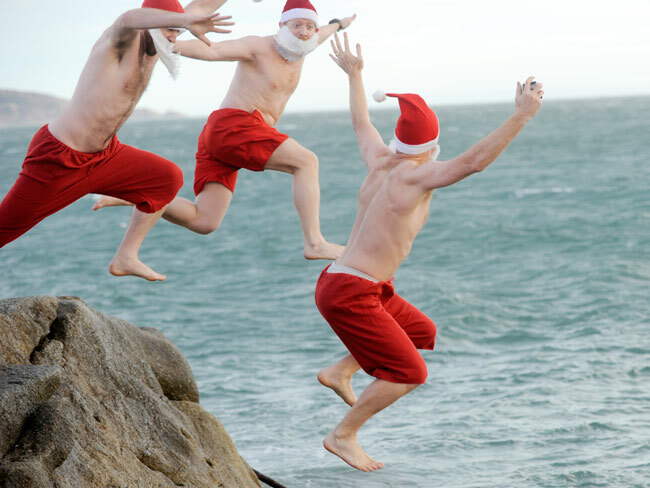 Many raise funds for charities in the lead up and on Christmas day, will brave the near freezing temperatures of the Atlantic Ocean/Irish Sea. The more sensible people will be at home gorging themselves on festive food and drinks.